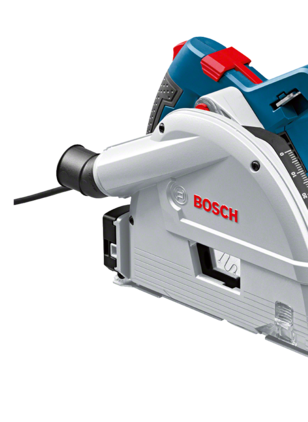 The GKT 55 GCE Professional corded plunge saw delivers highly precise, clean cuts in a variety of materials. Its high-quality machine components, precision saw blade, and matching guide rail system ensure extremely precise results. 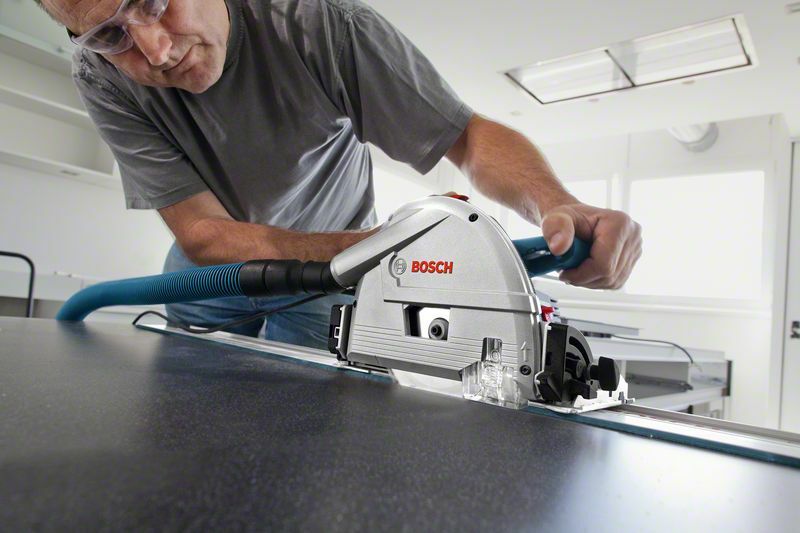 The saw’s efficient dust extraction system and noise-reduced blade make work comfortable, especially indoors. 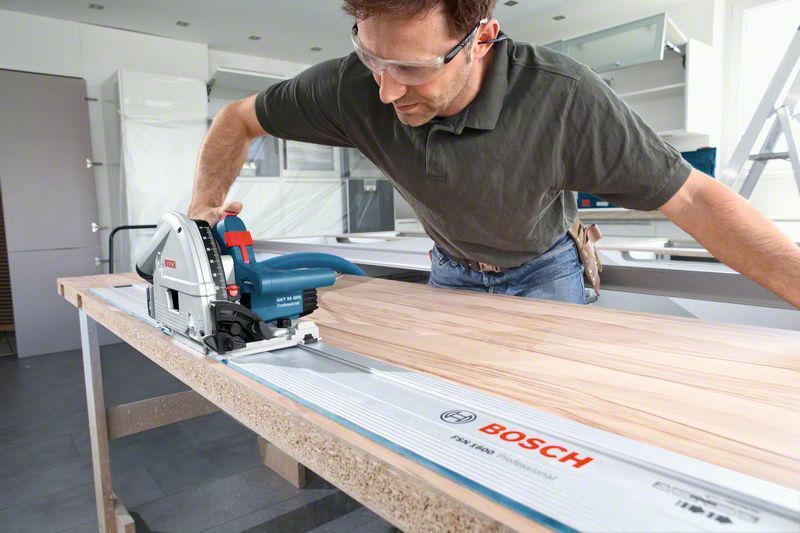 Furthermore, its adjustable speed setting enables cuts in a multitude of materials. 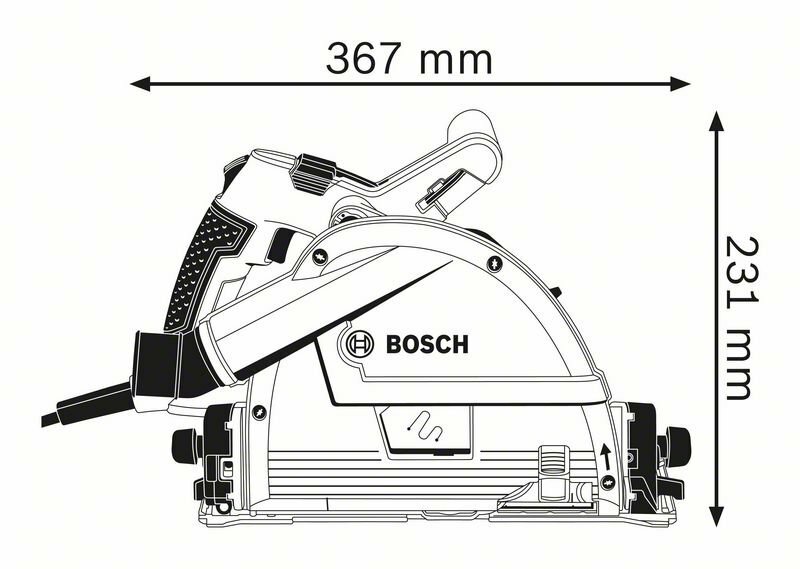 This tool is intended for format cutting and plunge cutting in wood, wood composites, board, and panel materials as well as aluminium and acrylic glass. 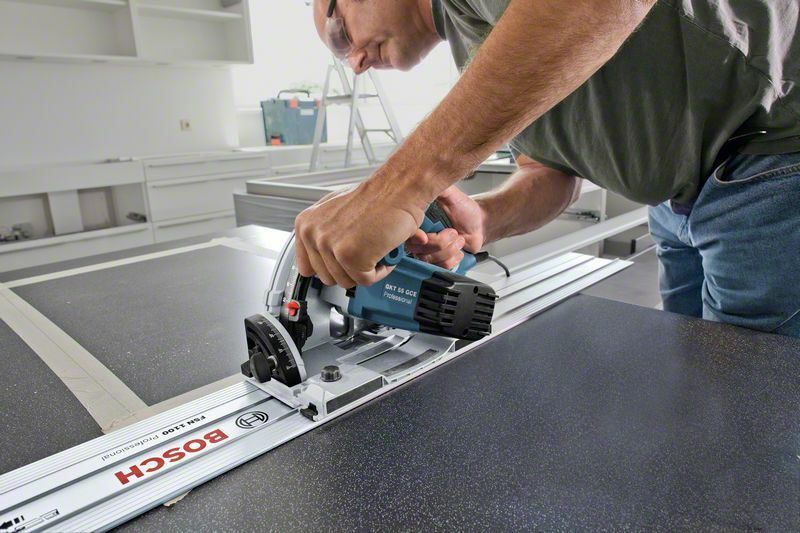 It is compatible with the Bosch Click & Clean dust extraction system as well as with the Bosch, Festool, Mafell, and Makita guide rail systems. 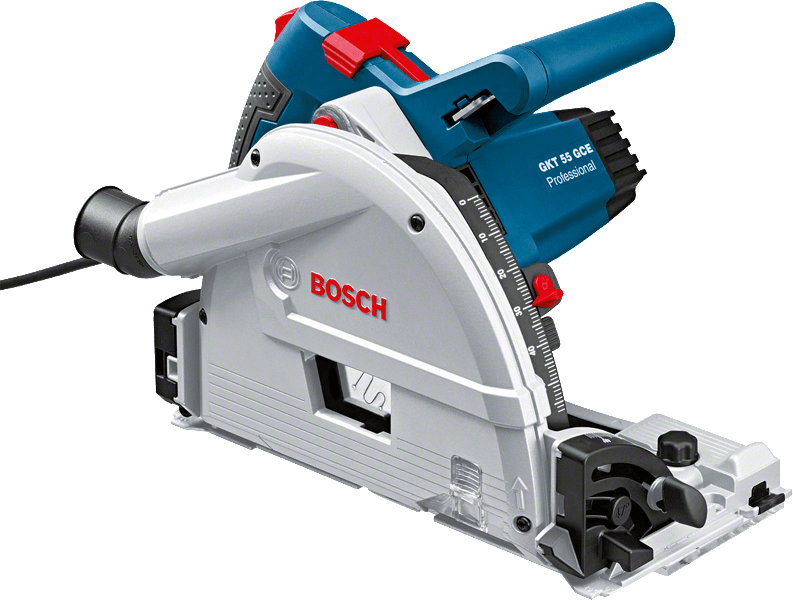 The GKT 55 GCE Professional also includes features such as constant speed, integrated dust outlet, speed selection, spindle lock, overload protection, and soft start.